David Martin, is a Licensed Acupuncture Physician with more than 20 years experience in this medicine. He is board certified and licensed in both Florida and Colorado. The call to medicine came early in childhood for Dr. Martin, who cherishes his Native American Roots. However, western medicine did not appeal to him so he got dual degrees in mathematics and electronics engineering. He worked for over 20-years in corporate America at the very top of his field. Dr. Martin then decided to pursue his passion and return to school for Traditional Asian Medicine and Acupuncture. 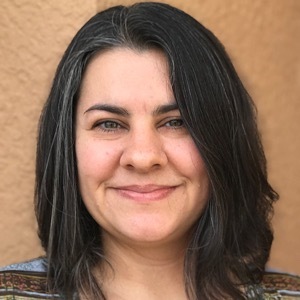 Deb Martin is the Business Manager, She is also A Reiki Master and certified in the food healing program “Conquering Any Disease” Deb teaches food healing classes at the clinic and she consults with clients to educate them and help them to make better food and life choices. Deb’s vision is that in the not-so-distant future, most Americans’ first choice for their non-urgent health care needs, including all chronic conditions plus maintaining Wellness and Healthy Longevity, will be to use Natural Medicines such as Chinese Medicine, spiritual and creative practices, combined with wholesome Foods and supportive Herbs. Deb says: “There are so many amazing foods, and they can be used for healing staying well. This is Power to the People!” Check our Calendar for upcoming classes. 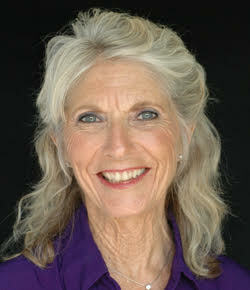 Vickie Gelardi has been helping people heal using food for nearly 40 years. In the late 1970’s she founded the Feingold Association of New York and testified before Congress about the health effects of the compounds containing artificial coloring & preservatives in foods. Her primary focus has been with children on the autism spectrum, including children with learning challenges. From there she has expanded her interests and today works with individuals with various diseases, such as inflammatory conditions, diabetes, cardio issues, MS, auto-immune diseases, etc. In 2014 she received her Certification in the Jeff Primack “Conquering Any Disease” program, thus expanding her work in the medicinal food healing field. For over 30 years Larry Witzleben has been in this work. 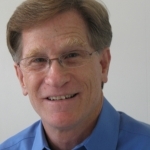 Larry specializes in Orthopedic Massage and Polarity Therapy, blending the two into what Larry trademarked as Neuro-Energy Balance, aka the Whole Nervous System Reset. This gives you deeper, longer lasting relief from tightness and pain and is Larry’s signature treatment for only $45. 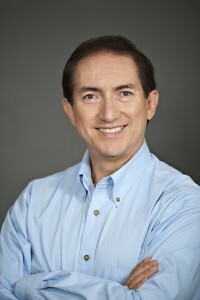 Contact him at 407.595.4035 – call or text – or visit www.LarryWitzleben.com. Jenny Hong joined Lotus Blossom Clinic in 2015, bringing her love of people and healing talent as one of our Health Care Providers. 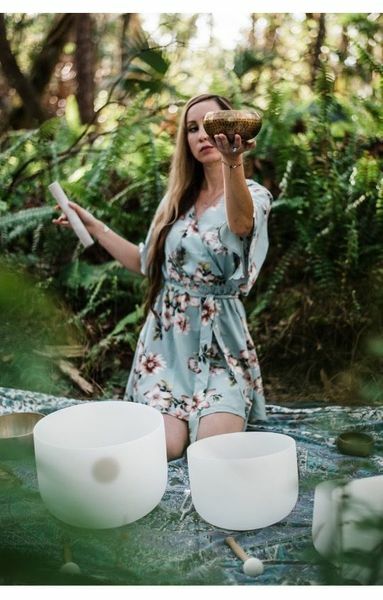 She is a Reiki Master and an accomplished Sound Healing Practitioner, providing twice-monthly Crystal Bowl Meditation Concerts. 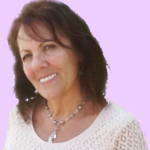 Look for her Events on our EVENTS CALENDAR, and she is available for Private Reiki sessions. When she was young, Jenny was gifted with a Medical Encyclopedia which fed and fascinated her curious young mind, subsequently fueling her gravitation to the field of Healing. She has worked in both Western and Eastern medical environments. At a Fair in Naples Jenny experienced Reiki and felt Energy on a new level. She began to study Energy Medicine in earnest, beginning with her first Reiki Attunement in 2014. She received her Master Reiki Attunement in London in the summer of 2015 with Maria Zhuravleva. With the arrival of the John of God Crystal Light Therapy Bed at Lotus Blossom Clinic in June of 2016, Jenny received training from Melissa LeBlanc of Spirit Works Healing Arts Studio as a Facilitator for the Bed, (along with several others on staff). Originally licensed in Fort Myers, Florida in 1999, I’ve spent the last two decades in several different states with my husband in the military. In each state, I set up a new massage practice that grew and flourished. We recently returned home to Florida to care for an ailing parent and to help other aging relatives. This’s my newest massage practice. I’ve specialized in traditional Thai massage and Thai medicine for the last 10 years. Thai massage draws on centuries of knowledge of holistic medicine, spiritual practice, massage, movement therapy, and energy work. This makes it a very powerful transformative healing treatment. During a Thai massage, you’ll be wearing loose fitting or sports style clothing. The techniques involve acupressure, joint mobilization, and gentle stretching. Many clients have described Thai massage as a combination of massage, meditation, restorative yoga, and physical therapy. You should consider Thai massage if you’d like to improve your mobility, your health, and your mental state. It’s also an ideal therapy for systemic or autoimmune conditions or if your suffering from pain and stiffness. 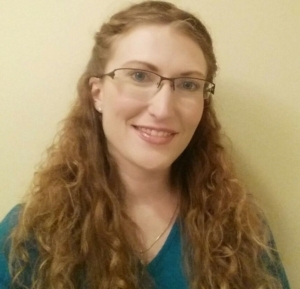 Lauren has been a licensed massage therapist since she was 18. 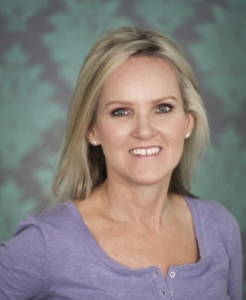 Trigger point therapy and myofascial release are her specialties. 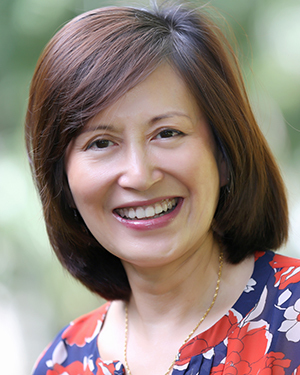 Her clientèle base ranges from the young and healthy to those with dementia to professional athletes to everyday golfers, tennis players and Mahjong players. Those with chronic pain, newly injured, looking to prevent injury and those looking for relaxation and relief from life are all encouraged to try out Lauren’s technique – specialized for you every session. Set up your relaxing, therapeutic, healing session today by calling Lauren at: 206.660.9469. For more than 35 years, Kandy has committed her life to teaching and touching people of all ages and abilities to guide them in improving the quality of their lives through healthy lifestyle choices. She founded the first healing sanctuary in Lee County, Florida, in 1990, offering yoga, massage, and a wide-range of healing modalities. In 2011, LoveWorks was “born” – the melding of her eclectic skill set of healing tools…movement and touch with the ultimate foundation, love. This kit means that each session is a made-for-you approach and can include yoga in the Iyengar style, yoga therapy, massage therapy including Swedish, Deep Tissue, and Craniosacral Therapy, whole-body healing based on Healing from the Core® and Integrated Awareness®, meditation and nutrition. Kandy’s commitment to her own daily personal practices creates a magic which enables her to guide students and clients in rediscovering the playful, powerful and peaceful aspects of themselves. (Emotional Freedom Technique.) Founder and owner of Joyful Journey Coaching. 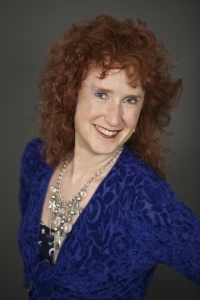 Jenny works with spiritually-oriented women professionals and entrepreneurs who feel trapped with emotional or thought patterns which hold them back in life. contributing in a way that ignites them. JaySun is a certified Sheng Zhen Gong instructor, and has more than 14 years experience practicing and teaching this energetic art. Sheng Zhen Gong is a form of Qi Gong that promotes fluid movement with conscious breath to heal and empower the body, mind, and soul, with the specific purpose of opening the heart to create a sense of inner happiness and peace. 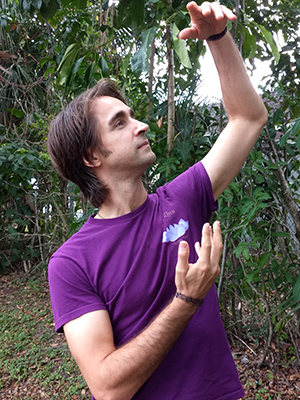 JaySun has been studying energetic work for fifteen years, starting as a massage therapist and Reiki practitioner, entering acupuncture school and becoming a ThetaHealer. As a child, he spent much time outdoors in the wooded area in which he grew up, and JaySun has always been drawn to the world of energy and spirit. He eventually studied and received a bachelors degree in Religious Studies. He first found Qi Gong through the medical Qi Gong of Master Hong Lu, then while studying acupuncture, was introduced to Master Li Junfeng, the founder of Sheng Zhen Gong. The transformation of energy was unlike anything he had ever experienced. The happiness and joy in which we can live in everyday was an enormous revelation! JaySun was instantly a devout practitioner and eventually became a teacher in order to share this beautiful practice with as many as possible. Debbie Thompson, Owner of Skin Radiance Facials has 16 years of experience in the spa industry specializing in Anti-Aging skin care. Her pursuit of natural health education lead her to her ongoing studies in Esthetics. Debbie is continually inspired by the interesting people she meets and how rewarding if feels to connect with a client while helping them to achieve the Beauty and Wellness they seek.